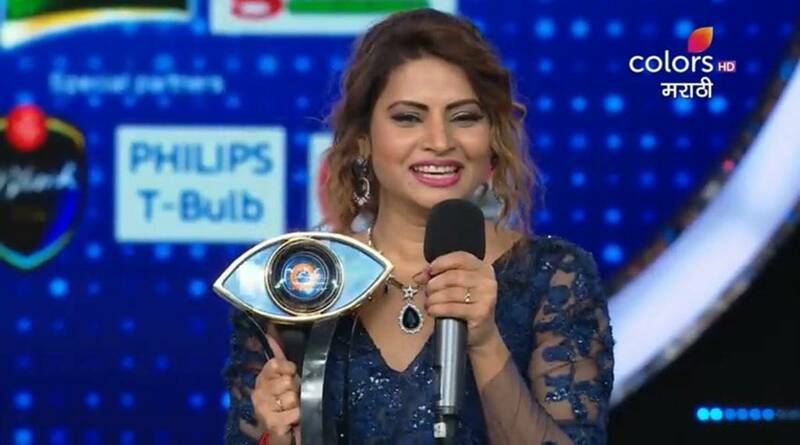 The very confident "Megha Dhade" wins the "Bigg Boss Marathi" season 1 torphy and the prize money of Rs 18.60 lakh and a villa in "City of Music" (Nirvana Reality). On the final day the fight to win the trophy was between 6 contestant Megha Dhade, Pushkar Jog, Smita Gondkar, Sai Lokur, Aastad Kale and Sharmishtha Raut. Where due to least vote Sharmishtha was first to evicted followed by Astad, Sai and Smitha and the final competition went on to boil with Pushkar Jog and Megha Dhade, where on the basis of vote count the host of the show "Mahesh Manjrekar" declared "Megha Dhade" as the winner of Bigg Boss Marathi first season. She has emerged as a winner beating 17 other contestant.